What is Compute as a Service? Compute as a Service or CaaS is our way of providing a complete computing solution for businesses from micro entities upwards. Delivering all the computer systems and technology you need to run and manage your business on a day to day basis. 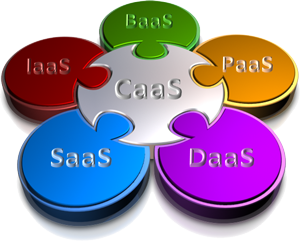 CaaS brings all of those other ?aaS computer services you consume into one unified and coherent structure that works. We have broken everything computer related down into a consumable service, which you pay per seat per month. CaaS is important to your business for several reasons: Firstly, it means you are not using capital to buy computer technology when you could be using it to fund the growth of your business. It means you don’t need to become an expert in computer technology yourself, or employ an expert just so you can do the stuff you need to do on a computer these days. That frees you up to concentrate on doing what you’re good at. We provide you with all the support, back up and training you need to get up and running, and maintain that level of support on an ongoing basis to enable you to get the most out of the technologies we have provided you with. Why are we not able to get what we want out of technology? Not to put too fine a point on it, but small businesses like yours are not IT experts, it’s not your job to know about all the latest hardware, software and methodologies, and trying to keep up is just a distraction from your day to day activities. We listen to what your needs are, and then provide you with the right systems, software, services and support to help you move your business forward. They’re sized to meet your current needs and are easily scalable to meet your future needs as your business grows. In business today if you stand still you are effectively going backwards, because everyone else will leave you behind. By switching to CaaS you keep up to date and ahead of your competition. The next step is to tell us about your business, so we can get a better handle on what it is you do and what technologies are going to be best to help you do your job better and more effectively.